Henry Kapono (photo courtesy of the artist). Keola Beamer & Henry Kapono are two legends of Hawaiian music, continuing to lead the way for over four decades. They join forces at The Broad Stage on Thursday, February 1. Beamer & Kapono will each perform a set, then come together onstage to celebrate their original songs that have become beloved classics of contemporary Hawaiian music. The evening will also feature a performance from Moanalani Beamer, Kumu Hula (Hula Master). Keola Beamer has breathed new life into slack key guitar music yet stays true to its deep Hawaiian roots. He is a singer-songwriter, composer, and guitar master, with an impeccable, gorgeous style that is featured on The Descendants soundtrack and his 16 albums. Keola was one of the first to use Hawaiian slack key techniques to create contemporary music that is also at home on jazz or classical stages. His wife Moanalani Beamer will join Keola onstage with her beautiful hula and the exquisite sounds of traditional Hawaiian instruments. Keola Beamerʻs well of talent springs from five generations of Hawaiʻi’s most illustrious and beloved musical families. Keola’s mother was revered Hawaiian cultural treasure, Aunty Nona Beamer. His great-grandmother was one of Hawaiʻi’s most illustrious composers, Helen Desha Beamer. The Beamers trace their roots to royal families of the 14th century and have been cultural practitioners through generations. 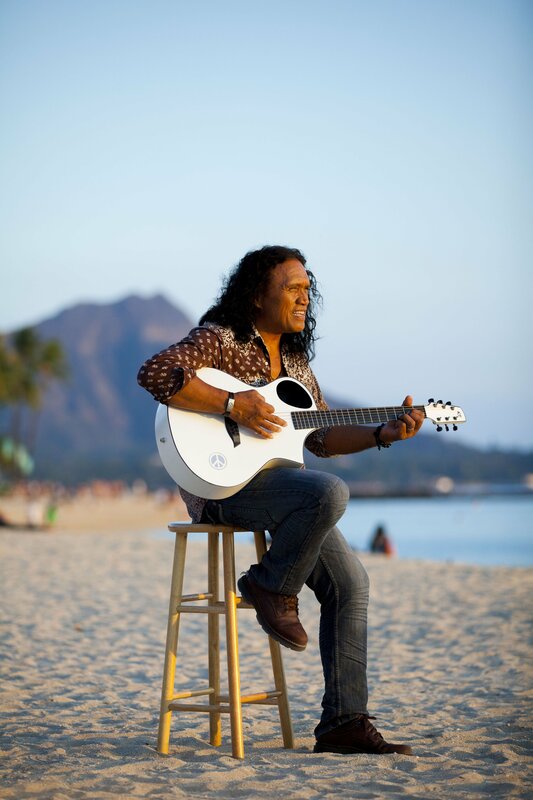 Henry Kapono is a performer who has it all – vocalist, guitarist, songwriter, composer, thrilling performer, audience favorite—and multiple honors and awards, including a Grammy Award nomination. He has taken home 14 Na Hoku Hano Hano Awards (Hawaii’s “Grammy”) including Male Vocalist of the Year, Song of the Year, Single of the Year, Album of the Year, and Rock Album of the Year, and in 2016, along with John Cruz and Brother Noland: Best EPK for his Rough Riders We Ride album. Kapono has been at the creative forefront of contemporary Hawaiian music throughout his career – from the laid-back island rock of Cecilio & Kapono in the 1970s and ‘80s, to launching his solo career that produced 18 albums and fans around the world to his Henry Kapono & Friends collaborations celebrating the music that represents the soundtrack of Hawaii, to his groundbreaking Wild Hawaiian that fuses the power of Hawaiian traditions with driving rock rhythms and a soundtrack for the new century. Tickets are on sale at www.thebroadstage.org or by calling 310-434-3200. To commemorate The Broad Stage‘s 10th Season, the venue is presenting a series of one-of-a-kind fundraising events and ticket upgrade opportunities. For Legends of Hawaiian music at The Broad Stage, ticket-buyers have the option to upgrade their ticket for an additional $50 per person. This includes a pre-show Polynesian style Luau reception set against a tropical backdrop (tax and gratuity included). Jennifer Diener serves as Honorary Chair. Visit http://thebroadstage.org/celebration for more information. Keola Beamer (photo by Mark Modeen). Tickets: Start at $40. Prices subject to change. 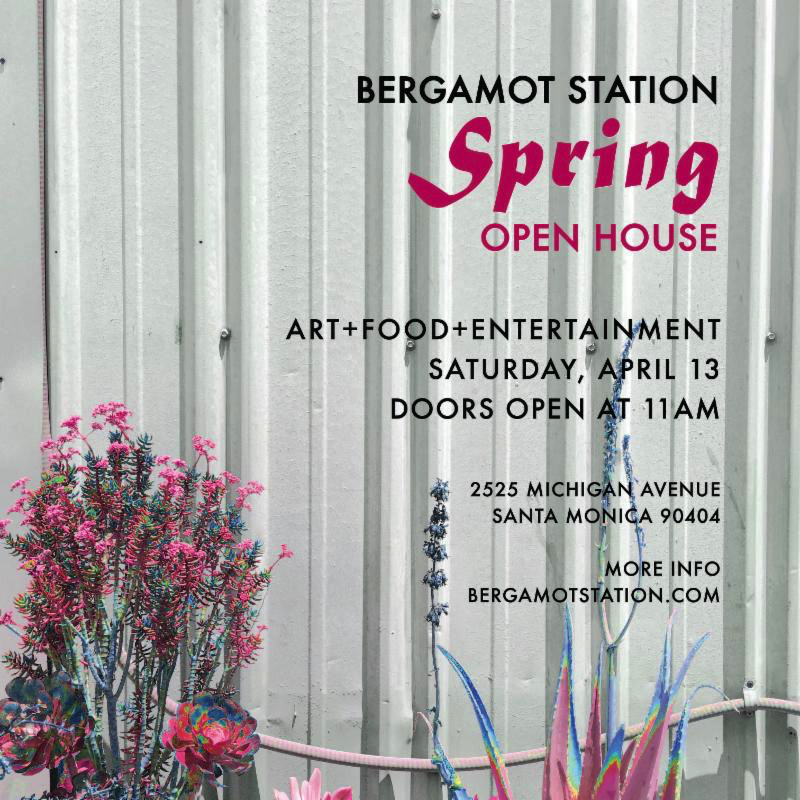 In Person: Box office at 1310 11th St. Santa Monica CA 90401 beginning three hours prior to performance. “Keola Beamer’s [slack key] style is the best there is on the planet” – Willie Nelson. 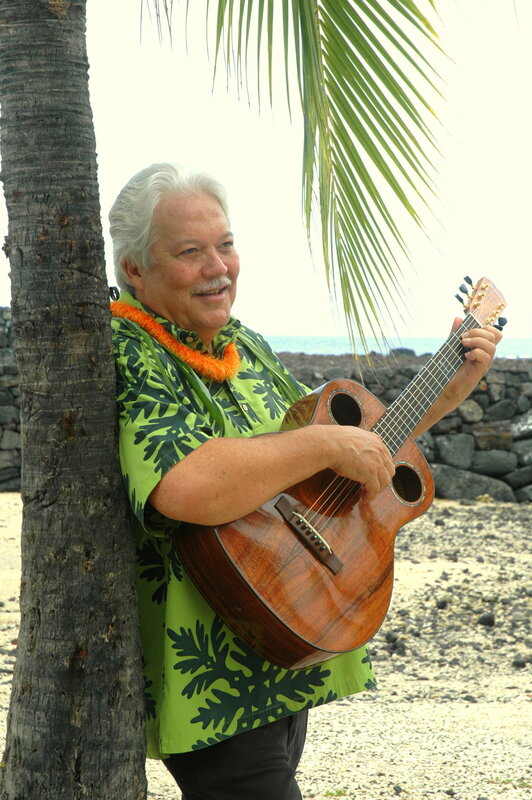 Keola established himself early as a leader of the wave of contemporary Hawaiian music when he wrote the classic Honolulu City Lights – which is still one of the absolute all-time best selling recordings in the history of Hawaiian Music. Keola was also the author of the very first written instruction book for the Hawaiian Slack Key Guitar, published in 1972. Keola is a world-renowned Native Hawaiian Musician, Hawaii Academy of Recording Arts Lifetime Achievement Award Recipient, Multiple Grammy Award Nominee, Multiple Na Hoku Na Hanohano Award Winner (Hawaiian Grammys) Native Arts and Culture Foundation Fellow. He is an Award Winning Author and Artistic Director of The Mohala Hou Foundation. In January of 2016 Keola was appointed President and Executive Director of Aloha Kuamoʻo ʻĀina, a 501c3 non-profit formed for the protection and preservation of the Kuamoʻo Battlefield and Burial Grounds in Kona, Hawaii. Henry’s original songs with a rock vibe celebrate his love for his family, express his pride in his Hawaiian culture, and share his joy in his home in the Islands. The simple honesty of his lyrics and music touch the soul and his wildly talented guitar-playing shares his joy in being alive. Kapono has travelled the world with innovation and creativity of music that very few artists are able to sustain. Always musically adventurous, Henry launched a solo career in 1981; he has released 18 albums to date. He continues to break new ground with his collaborations – The Wild Hawaiian in 2006, joining driving rock and slam poetry with Hawaiian chant, Henry Kapono & FRIENDS concert series in 2014 featuring Henry and many other top entertainers from Hawaii and beyond, The Rough Riders in 2015 celebrating the Hawaiian Cowboys (Paniolo) with haunting harmonies and a unique blending or guitars that appeal to audiences around the world. He is also the author of the award winning children’s book, A Beautiful Hawaiian Day, has appeared in films, and has made many television appearances. The Broad Stage, beginning its landmark 10th season, offers theatre, dance, film, opera, jazz, world music, musicals, symphony and chamber orchestras, family programming and more. Each genre features superlative talent from every generation and around the globe. No other performing arts center west of the 405 can boast such consistently stellar lineups of performers, including André Watts, Anna Netrebko, Sir James Galway, Sutton Foster, Preservation Hall Jazz Band, Mikhail Baryshnikov, Patti LuPone, Aaron Neville, Lee Ritenou, Dave Grusin, Joshua Redman, Lil Buck, Bobby McFerrin, Helen Hunt, Academy of St Martin in the Fields and many others. In addition to The Broad Stage, The Edye, our 100-seat black box theater, presents new, developing and innovative work in theatre, music and dance as part of our Under the Radar Series, as well as offerings from our other genres. Featuring younger, emerging artists, chamber pieces and plays, programming at The Edye reflects the dynamic nature of the space and allows for the latest, most exciting artists to be booked on short notice. The Broad Stage’s Education and Community Programs offer opportunities for cultural exposure through various student events, currently reaching more than 20,000 children, parents, educators and community members every year.